Magic Lantern is a software enhancement that offers increased functionality to the excellent Canon DSLR cameras. We have created an open framework, licensed under GPL, for developing extensions to the official firmware. 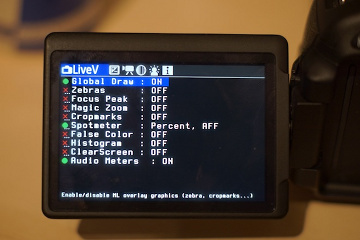 Magic Lantern is not a "hack", or a modified firmware, it is an independent program that runs alongside Canon's own software. 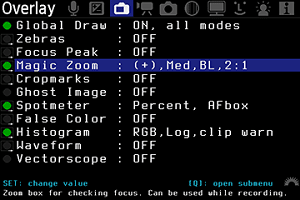 Each time you start your camera, Magic Lantern is loaded from your memory card. Our only modification was to enable the ability to run software from the memory card. Originally created by Trammell Hudson, ML is now being developed by photo and video enthusiasts, adding functionality such as: HDR images and video, timelapse, motion detection, focus assist tools, manual audio controls much more. The preferred way to contact us is on the forum, where your message can be seen by the entire ML community. Support is usually provided by other users (like you). Therefore, it's best to read how to ask questions before posting, and to have some patience if your question is not answered right away. You may also contact us by e-mail at info@magiclantern.fm. Private questions regarding camera/feature availability or future plans will not be answered, as they are already covered on the download page, in the FAQ and/or on the forum (and we get a lot of these). Sorry. Please remember this is just a hobby project done in our spare time, and progress is not always as quick as we would like. The best way to get a feature implemented or a new camera ported is to join the development efforts. The goal of the Magic Lantern project is to provide technical means for executing open source software on Canon DSLR cameras. Magic Lantern runs on most low-end and mid-range Canon DSLRs, from 1100D to 5D Mark III. Please check the Download page for current models, and the New Ports forum for future models. The EOS-1D and Cinema series of Canon cameras fall outside of ML project scope because of their prohibitive price and narrow user base. We are not aware of any firmware enhancements for these cameras, nor do we support such efforts. 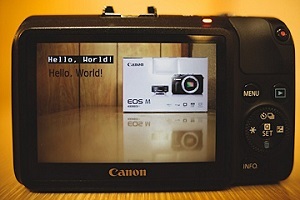 For very old Canon DSLRs, check out the 350D hack and the 400plus project. 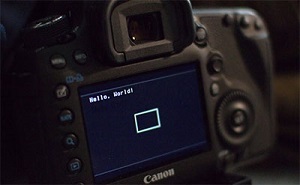 For compact Canon cameras, use the excellent CHDK firmware add-on. There are also firmware enhancements for Nikon (nikonhacker.com), Panasonic (personal-view.com), Pentax (pentax-hack.info), Sony (website down or moved? ), GoPro (CHDK forum), etc. Background reading: check out the Reverse Engineering FAQ from EFF. Both USA and European laws allow reverse engineering for interoperability, without requiring the permission from the copyright holder (in our case, Canon). Since we are not distributing any Canon code and we reverse engineer solely for purposes of interoperability, Magic Lantern does not run afoul of the law. We do respect Canon as a company, and love their products. We do not publish Canon code or any other copyrighted material - be it from Canon or from any other third party. We publish limited information about DSLR internals, with the only purpose of achieving interoperability. Reverse engineering is required to achieve interoperability, because no public documentation is available to create software for Canon DSLRs. 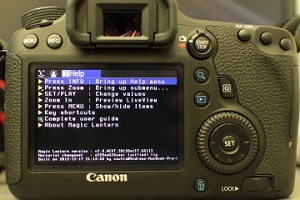 To our knowledge, Canon has not yet made any official statements about Magic Lantern, nor CHDK. If anyone (including Canon) thinks we can improve the way ML is working, just let us know.